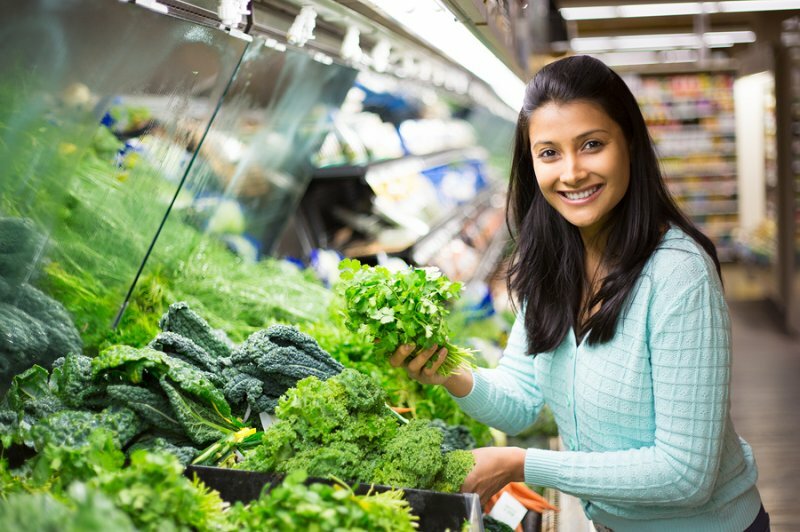 In this article, we’ll explore the differences between folate and folic acid. And how Vitamin B9 (folate) is critical for the fully optimized brain. Neurotransmitters: Folate is required for the synthesis of dopamine, epinephrine and serotonin. How does Vitamin B9 (Folate) work in the Brain? How does Vitamin B9 (Folate) feel? Folate is a critical component of DNA and RNA synthesis, gene expression, amino acid synthesis, and myelin synthesis and repair. Folate is required as part of the cycle that produces most of your major neurotransmitters including dopamine, epinephrine, norepinephrine and serotonin. When you eat vegetables containing folate, or eat flour-enriched with folic acid, an enzyme called MTHFR (5,10-methylenetetrahydrofolate reductase) converts folic acid and food folate into 5-methylenetetrahydrofolate (methyl-folate or 5-MTHF). Folate is a general term for a group of various tetrahydrofolate (THF) derivatives naturally found in food. Folic acid refers to an oxidized synthetic compound used in dietary supplements and food fortification. THF can enter the main and natural folate metabolic cycle which starts out in the mucosa of your small intestine. Synthetic Folic acid on the other hand undergoes initial reduction and methylation in your liver, where conversion to the THF form requires the enzyme dihydrofolate reductase. One of the problems with choosing the unnatural folic acid version is if there is low activity of the dihydrofolate reductase enzyme, combined with high intake of folic acid, you end up with unnatural levels of unmetabolized folic acid entering your circulation. We have growing evidence in Western society that we generally test for excess levels of unnatural folic acid. Due mainly to eating processed foods and folic acid-enriched flour. And still suffer from a folate deficiency. Another major problem affecting folate deficiency is problems with the MTHFR gene. Remember that this enzyme called MTHFR (5,10-methylenetetrahydrofolate reductase) is needed to convert folic acid and food folate into 5-methylenetetrahydrofolate. 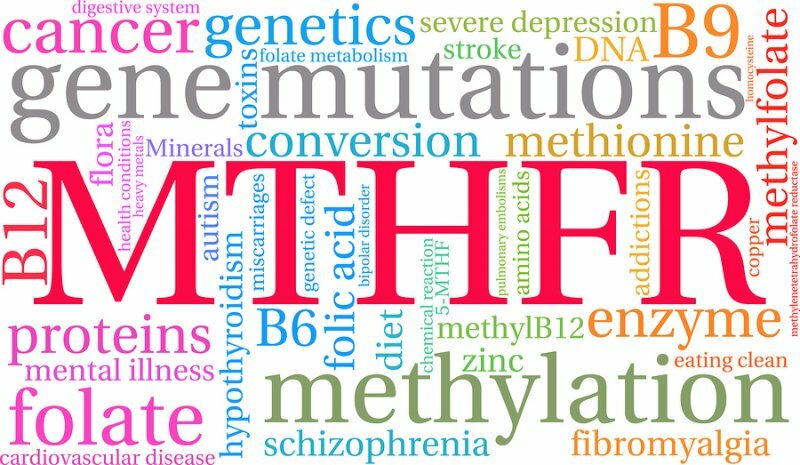 There are two common variants in this gene that affects the functioning of MTHFR. They are called C677T and A1298C. Both variants are genetically inherited. And depending on their presence in your system, can reduce the effectiveness of MTHFR from 30 – 70%. Another cause for folate deficiency. Builds red and white blood cells and platelets. Vitamin B9 (Folate) boosts brain health and function in several ways. But two in particular stand out. Folate influences neuroplasticity and neurotransmitters. Folate is required for the synthesis of the neurotransmitters dopamine, epinephrine, and serotonin. The active metabolite of folate, 5-methyltetrahydrofolate (5-MTHF, L-methylfolate), participates in re-methylation of the amino acid homocysteine, creating methionine. S-adenosylmethionine (SAMe), the downstream metabolite of methionine, is involved in numerous biochemical methyl donation reactions, including reactions forming the above-mentioned neurotransmitters. Without the participation of 5-MTHF in this process, SAMe and neurotransmitter levels decrease in the cerebrospinal fluid, contributing to the disease process of depression. Folate helps reduce depression. Folate is involved in one-carbon metabolism in the brain. This folate cycle is responsible for the synthesis of methyl groups, which are utilized by SAMe in several methylation reactions involving nucleoproteins, proteins, phospholipids, neurotransmitters and monoamines. Deficiency of both folate and Vitamin B12 will impair methylation processes. Causing the accumulation of homocysteine. Low concentrations of folate in your blood, red blood cells and cerebrospinal fluid are associated with depression and dementia. Methyl-folate (5-MTHF) works with Vitamins B2, B6 and B12 as well as cofactors like magnesium in this methylation cycle in every cell in your body and brain. The metabolic process called methylation occurs when one molecule provides a methyl group, which is a carbon atom linked to three hydrogen atoms, to another molecule. And makes things like creatine, carnitine, CoQ10, phosphatidylcholine (PC), melatonin and a bunch of other crucial neurotransmitters and substances in your body. Methylation is involved in cognition, repairing DNA, turning genes on and off, fighting infections and inflammation, getting rid of toxins and much, much more. 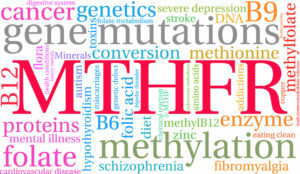 Problems with methylation (which can be caused by not enough folate) can contribute to addictions, Alzheimer’s, anxiety, ADD and ADHD, bipolar and manic depression, chronic fatigue syndrome, dementia, diabetes, fibromyalgia, schizophrenia, and hypothyroidism. Methylation is not only involved in the synthesis of neurotransmitters, but breaking them down as well. This critical step, when broken, causes a buildup of neurotransmitters that can lead to seizures, insomnia, panic attacks, fits of rage, and more. Much more. A deficiency of methyl-folate (5-MTHF) in your body caused by problems with this methylation pathway leads to a deficiency of glutathione, your major antioxidant. This can take shape as fibromyalgia, chronic fatigue, increased immune activation, chemical sensitivities and even diseases like ALS, MS, and Parkinson’s. Vitamin B9 supplementation can help increase the density of serotonin and dopamine neurotransmitters in your brain. And improve neurotransmitter signaling. Helping you to cope with stress, lessen depression and improve memory. 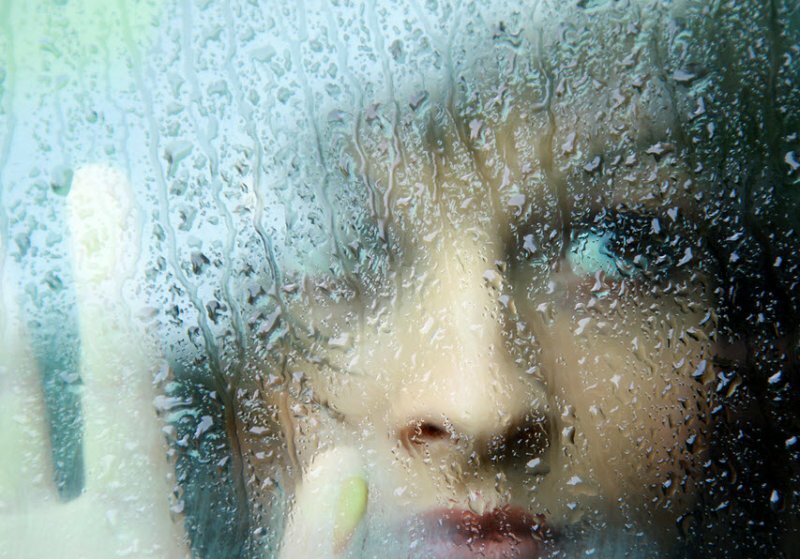 Depression affects about a quarter of the US population who will have at least one depressive episode in their lifetime. (My apologies to our readers from other countries. I only have statistics for the USA). But world-wide, folate deficiency is found in at least a third of those suffering from depression. And research shows that folate levels even in the “normal range” might be inadequate for methyl donation and neurotransmitter synthesis. By adding folate, or methyl-folate to your nootropic stack, you’re adding a necessary ingredient for the synthesis of the neurotransmitters dopamine, epinephrine, norepinephrine and serotonin. The active metabolite of folate (5-MTHF, L-methyl-folate) participates in the re-methylation of the amino acid homocysteine creating methionine. SAMe, the downstream metabolite of methionine, is involved in several methyl donor reactions, including forming most of your major neurotransmitters. 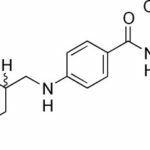 Methyl-folate also seems to save the day by stepping in, and substituting for tetrahydrobiopterin (BH4), an essential cofactor in neurotransmitter synthesis (when BH4 is low). The bottom-line: folate helps boost alertness, attention, cognition, memory, and mood. And helps alleviate brain fog, anxiety and depression. Up to 60% of us do not produce enough of the enzyme needed to break down the synthetic folic acid found in supplements and fortified foods like breakfast cereal and bread. And the simple presence of this impostor in our diet is likely contributing to many of our modern diseases. Many who use antidepressants experience little to no relief in depressive symptoms. And researchers set out to find out why antidepressant meds were not working. Dr. Jerome Sarris of the University of Melbourne decided to do a meta-analysis of clinical trials using ‘nutrients’ along with antidepressants in PubMed, CINAHL, Cochrane Library, and Web of Science up to 2015. The research team found that Omega-3’s combined with antidepressants boosted the success of using these meds for depression. The team also found strong evidence for methyl folate, Vitamin D, and SAMe. Another study in Milan compared using methyl-folate with the antidepressant Trazadone. 96 patients with dementia received either 50 mg of methyl-folate per day, or 100 mg of Trazadone. Another study published in the British Medical Journal looked at the neurological status of 24 folate-deficient patients compared with a control group of 21 normal folate-level patients. The study showed a significant increase in organic brain syndrome in the folate-deficient group. [xiv] Organic brain syndrome is a general term used to describe decreased mental function caused by something other than psychiatric illness. If you have an adverse reaction to methyl-folate (agitation, increased anxiety, headache), you can take Vitamin B3 (nicotinic acid or niacinamide) in 50 mg dosages every 30 minutes until you experience relief. Note that Vitamin B3 (niacin) requires SAMe for its metabolism. And can contribute to a drop in methylation if you’re low in SAMe. It is also a cofactor for the enzyme COMT that breaks down norepinephrine, epinephrine, and estrogen, which are all potentially elevated if you are experiencing anxiety. Vitamin B9 (Folate) is non-toxic. So is considered well-tolerated and safe. But note that higher doses of Vitamin B9 like those used in clinical trials nearly always use synthetic folic acid. If you are deficient in Vitamin B12, and many people are, can manifest as anemia. And is undisguisable from folate deficiency. Large doses of folate could correct anemia. Without correcting the underlying B12 deficiency. And leave you at risk for irreversible brain damage. This is why the US Institute of Medicine advises that all adults limit their intake of folic acid supplements to 1 mg daily. Note that it is unlikely that you’ll encounter this problem by using folate or methyl-folate instead of folic acid. But we don’t have the science yet to back this claim up. High concentrations of unmetabolized folic acid in your blood, especially if you’re low in Vitamin B12, could result in a compromised immune system. And problems with cognition. Other side effects of using folic acid, particularly in high doses include stomach problems, insomnia, skin reactions, confusion, loss of appetite, nausea and seizures. Many medications interfere with folic acid absorption including antibiotics, Dilantin, Daraprim, chemo meds, antacids, proton pump inhibitors, anti-seizure medications, NSAIDS (ibuprofen and naproxen), Azulfidine, and Methotrexate. 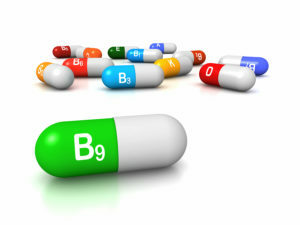 Vitamin B9 (Folate) is available in capsules, softgels, and in powder form. Look for a folate supplement that says “L-methylfolate”, “5-methyltetrahydrofolate” or “5-MTHF” on the label. Even better, with the word Quatrefolic® or Metafolin® which are branded forms of folate ensuring their purity and effectiveness. One great option to ensure you are getting all the vitamins and cofactors you need for the methylation cycle is to use a multivitamin. And all multivitamins include some form of Vitamin B9 (folate) in their formula. But many of these multis don’t contain enough for optimum health. And the majority use the folic acid version of this nutrient. The Performance Lab® Whole-Food Multi offers a nature-identical form of Vitamin B9 (folate) and is now my favorite daily multivitamin/mineral supplement. Avoid any product, including multivitamins, which list “folic acid” on the label. 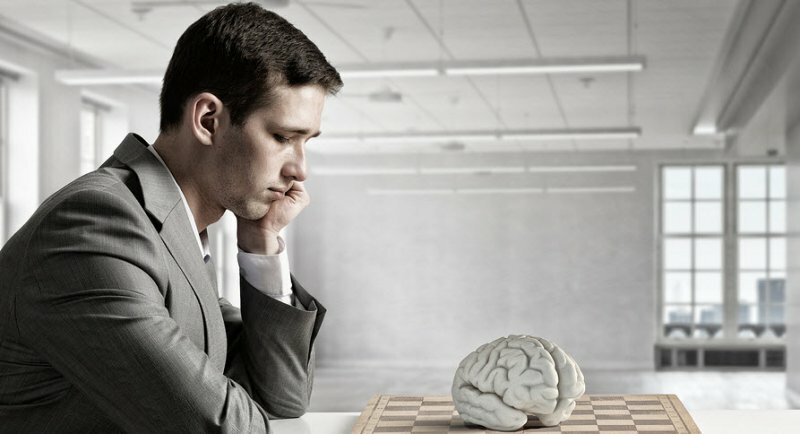 We recommend using Vitamin B9 (Folate) as a nootropic supplement. Your body does not make Vitamin B9 on its own. So you must get folate from food or a supplement. Vitamin B9 (Folate) is especially helpful for those suffering from anxiety, depression, panic attacks, or OCD. Folate can help improve energy levels, reduce insomnia, and help increase energy levels. Experience shows Vitamin B9 helps stop and reverse the symptoms associated with high homocysteine levels. Vitamin B9 is also particularly helpful to quell anxiety caused by social situations. Vitamin B9 can help you get a good night’s sleep. You may find it as effective as sleep meds and other nootropics used for sleep. You’ll awaken feeling refreshed and calm. Ready to start your day. The recommended dosage of Vitamin B9 (Folate) is up to 1,000 mcg per day. Start low at 500 mcg and see how your body reacts. Please refer to Dosage Notes in this article for adding the other B-Vitamins to your stack for an optimal methylation cycle. Your neurotransmitters are counting on it. At the very minimum every neurohacker should be using a multivitamin every day that includes Vitamin B9 (folate but NOT folic acid!). The best multi I’ve found and use every day is the Performance Lab® Whole-Food Multi for men or women. [xvi] Rapin J.R., Le Poncin M., Grebyl J. “Blood folate deficiencies and cognitive functions in aging.” Trends in Biomedical and Gerontology. 1988;1:221–223. Wow! I’m really really impressed about the importance of the Vitamin B9. I’m the guy with ADHD of 17 years and going to try your advised stack and i have some questions. I’m trying the Lab pro but don’t make an impressive effect (I’m more mentally resilient but nothing more -> 3x day) but this don’t resolve the problem of 4 years to the root. methyl-folate (some advice of where to buy? Giulio, it may take 2 – 4 weeks to realize the effects of Mind Lab Pro. This stack does not have a ‘stimulant’ in it like some manufacturers use to give you the impression it’s working. One day you may realize recalling something that you weren’t able to before. Or your mood is lighter and you’re more sociable around other people. The benefits will sneak up on you until one day you notice the difference. As for the rest of your proposed stack, please follow the dosage instructions. For example, to get the benefits of Aniracetam, you need to stack it with Alpha GPC or CDP-Choline. I can’t recall what country you’re in to recommend a seller for folate. Here in the USA, folate is available from Amazon and at the Vitamin Shop. You should be using the B-Vitamins everyday because the rest of your stack will not work well if you don’t have enough of each of the B-Vitamins. As for effects? Your memory will gradually improve. Your mood should be better. Less irritability. More motivation and you’ll simply feel better. I want to try the Mind Lab stack but have MTHFR 1298 variant. My doctor has me taking Ortho Molecular Products Methyl B12 which has Folate as Quatrefolic® 1000mg and Methylcobalamin 5,000mg. Should I continue to take this along with the Mind Lab? Thanks, I am new to this and also want to get my son who is 26 to try the Mind Lab as well. Randie, yes you can continue to take both with Mind Lab Pro. The dosages in MLP for the B-Vitamins are low enough that you are not in danger of over-dosing. And I like your doctor for recommending these products. Wish there were more like him in the medical profession. Hello!! Very nice blog, I am currently soaking up all the information here! I have a question concerning my stack, especially my folate dosage. My Stack currently includes the following: ALCAR (3x 500mg), AlphaGPC (2x 250mg), Omega 3 (1000mg), L-Theanine (2x 200mg), L-Tyrosin (2x 3g), L-Tryptophan(3 x 500mg), Vitamin D3 4.000 IE, Vitamin K2 (200μg), Zink (25mg), Creatine (5g), a low dosage Multivitamin and soon Noopept (Did not yet arrive will; will start with 2x 10mg a day). I ordered a B-Vitamin package to boost the effects of the Stack. It includes a Vitamin B Complex (Thiamine: 125mg; Riboflavin: 125mg; Niacin: 125mg NE; Panthothenic Acid: 125mg; B6: 125 mg; B12: 125μg; Folic Acid: 800μg; Inositol: 125mg; PABA: 125 mg; and Biotin: 125μg) The dosage is high, however for some of the B-Vitamines not as high as you recommend for nootropic use. Therefore I ordered along with it high dosages for Vitamin B3 (500mg), Panthothenic Acid (500mg), Inositol (750mg) and L-Methylfolate (1000 μg). Do you think it is save to supplement them all together at the same time? The folic acid of the Vitamin B Complex is probably not folate, thats why I ordered additional L-Methylfolate. However I think the toal dosage for the folates will be too high (Folic Acid 800 μg form the complex and L-Methylfolate 1000μg =1800μg total folate intake). What are your thoughts on that? Should I just not take the L-Methylfolate? Moreover, do you think the stack above is alright for a beginner in nootropics or do you have any recommendations?! My aim is too increase my cognitive function, my memory, my focus, and my motivation/mood at work. Leo, you are right in being concerned about folic acid and folate. The problem as you know is your body needs to convert folic acid to folate before it can be used. There are several problems with that. First, many people cannot do that conversion efficiently. Second, the overload of folic acid blocks the receptors that folate needs to do its job. And you get folic acid added to many processed foods to make matters worse. I know you don’t want to here this but I would discard the B-Complex supplement you’ve got. And use the individual B-Vitamins you have coming instead. Down the road you could save some money and get a better B-Complex stack like the one produced by Life Extension called “Bio-Active Complete”. Wow thank you for the quick reply, David! 2) I also have a bottle of Q10 (200mg) here. I read on this blog that it has nootropics effects, too. However I’m still 22 years old. Does it make sense for me to supplement Q10 at my age or does my body still produce enough of it on its own? Would it benefit me, if i added it to my stack? Last question: 3) Have you heard of supplementing Pregnenolone? I heard it has nootropic effects, elevating the mood of many people and enhancing their cognitive function. Leo, some respond better to L-Tyrosine and some better to NALT. Only way to truly find out is try each separately and see how you feel. If you can, it’s less expensive finding a B-Complex with the right bioavailable B-Vitamins than getting them separately. I’m aware of Life Extension’s version. But there must be one or two others out there. Doesn’t hurt to use CoQ10 at any age especially in our modern world. Try it and see if you feel a difference. If not, then resume CoQ10 in about 10 years. I have not done a review nor tried pregnenolone. But intend to write a post on hormones and brain optimization sometime this year. My doctor has me using progesterone and I find that helps somewhat in the cognition department. After doing some research into choline sources I came to the conclusion that supplementing with raw egg yolks could be a good alternative for ( 1 large yolk) folate,(24.8mcg) vitamin D (18.2IU), choline (116mg) along with the other elements found in a bioavailable form. The egg source is certainly important (free range). My nootropic stack is already extensive and to combine several of those individual items into food based source would be a good move for me; plus eggs are cheap. 2 to 3 egg yolks twice a day would suffice for me. I assume that this would qualify a fat from a beneficial source an a good source cholesterol ( is cholesterol a nootropic?) for hormone production. Plus it would fit into a ketogenic diet which is suppose to enhance cognition. Your Dedication and persistence is Admirable. You inspire me! Barry, according to several sources including Harvard (https://www.health.harvard.edu/newsletter_article/cholesterol-the-mind-and-the-brain) the human brain contains about 25% of the body’s total cholesterol. But since it’s made in your liver rather than from your diet we couldn’t technically call it a nootropic. But it’s certainly critical for brain function. And one of the reasons why statins can be so deadly for the brain. Can you explain what’s wrong with “folic acid” other than being synthetic? John, a critically important question. Tetrahydrofolate (THF) can enter the main and natural folate metabolic cycle which starts out in the mucosa of your small intestine. 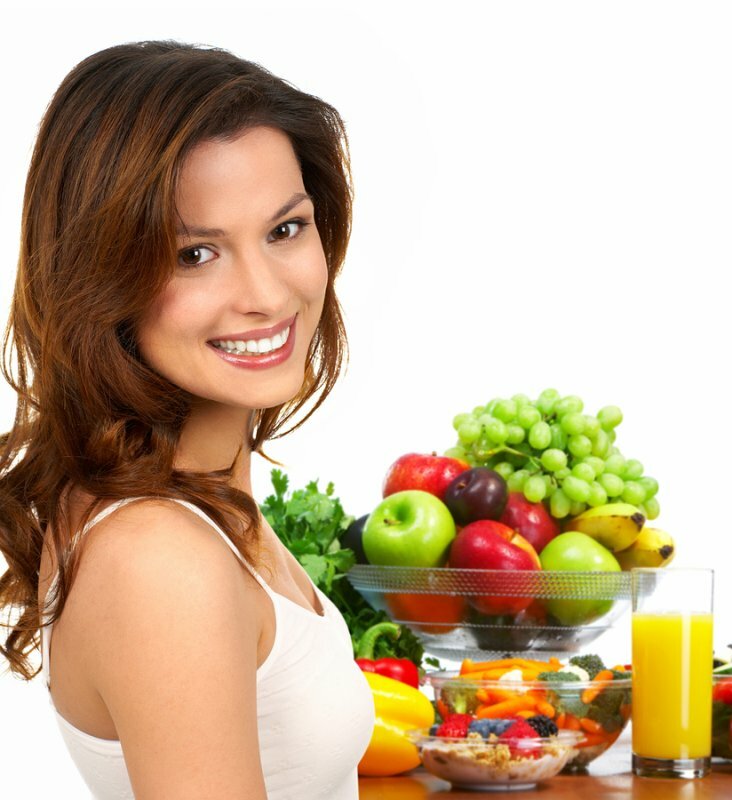 Synthetic Folic acid on the other hand undergoes initial reduction and methylation in your liver, where conversion to the THF form requires the enzyme dihydrofolate reductase. High doses of synthetic folic acid may increase your risk of cancer, immune system damage and other health problems. (links to these studies are in the “REFERENCES” pulldown menu below this post). This is somewhat worrisome due to the recommendation that pregnancy women supplement with “folic acid” and the problems that may cause, and also the problems that might occur if they do NOT supplement with any B9. Thank you very much for the good article! I mainly refer to your site to make up my stack to overcome depression. There are 20 different supplements in my stack. What do you think about choice of ‘Jarrow formulas B-Right’ over ‘Life Extension BioActive complete B-complex’? Because Jarrow fomulas contains ‘Quatrefolic’ 400mcg. You said ‘which are branded forms of folate ensuring their purity and effectiveness.’ But Jarrow has less amount of other things than Life Extension. but also contains Choline and Pantethine. Jay, looks like Jarrow has a good quality B-Complex supplement with all the right ingredients. Catherine, Quatrefolic is a patented version of Vitamin B9 (folate). If the manufacturer of the supplement shows on the bottle or package that they are using Quatrefolic then I’d assume that they are really using this ingredient. To be sure, you can do a search of the brand on a site like Amazon and see what verified buyers are saying. Then do a regular “google” search and find out if there are any lawsuits, actions by the FDA or anything else that turns up that looks suspicious or negative. I personally usually choose manufacturers I know and trust to buy supplements like this. Big brands like Doctor’s Best, Swanson, Life Extension, etc. And stay away from brands I’ve never heard of. Hello David, i discovered after 8 months that i get rushes from the b complex I’m taking, it contains Folate(L5 methyltetrahydrofolate calcium salt), thiamine hlc, riboflavin, niacin, b6, b12 (methylcobalamin), biotin, pantothenic acid, calcium, inositol, paba. I don’t know what component is doing that if it can be folate and how to replace that b complex… is very important for me because I’m vegan… and I’m not sure if take iron or how to suplement myself!! I will use some advice! Shelita, the only obvious thing in that supplement to cause a “rush” would be niacin. Everything else looks like it’s the same type of vitamins your body would get from food and should recognize it as such. Thank you, but is it true that people with ocd shouldn’t take folate suplements? Shelita, Folate is a critical component of DNA and RNA synthesis, gene expression, amino acid synthesis, and myelin synthesis and repair. Folate is required as part of the cycle that produces most of your major neurotransmitters including dopamine, epinephrine, norepinephrine and serotonin. You would die without folate in your body. So to say that someone with OCD shouldn’t use a folate supplement does not make sense to me. If you have excess folic acid plugging up receptors in your body and brain, or are low in natural folate, then you should take a folate supplement. No matter what condition you are suffering from. I’ve tried Methylfolate 400mcg on several occasions and it has made me anxious. I tried again yesterday and the anxiety was severe and has persisted into today. I would like to ask your opinions on why I am reacting like this to Methylfolate? Does it suggest undermethylation or overmethylation? Kenneth, it could be a problem with methylation. You can counter the anxiety affects by taking Vitamin B3 (nicotinic acid or niacinamide) in 50 mg dosages every 30 minutes until you experience relief. I recently had my homocysteine checked and it is in the lower range of normal which suggests that I would be more likely to be an overmethylator. I am taking niacin 100-200mg daily, zinc, magnesium, Vit C, Probiotic, Rhodiola, Bacopa Monnieri, Curcumin, plus I consume a lot of green juice and fruit. Anything else you would suggest for a suspected overmethylator? Anxiety is the major issue for me. I have tried Ashwagandha for a few months but it didn’t seem to do much. I am living in UAE so some supplements for anxiety are prohibited.